Misdirection is one episode in a series of public performances where art meets science. Pavlov E-lab organizes these so called open mind sessions, the uniqueness of the sessions is that they're always in a public space. For example there was a session at the entrance of the central train station, in a park and right next to the supermarket. It's free & open, everyone can watch and listen to it. Misdirection is about how we perceive the world around us, and are misled by the simplest things. Are we seeing what we're seeing or is it something else? Performed by biologist Julian Vincent who's keen on introducing biology concepts into engineering &design. 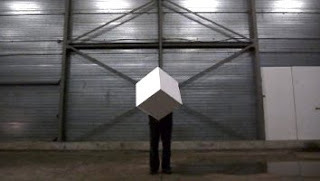 Mo Stoebe made wonderful films/animations with white cubes of misdirection. 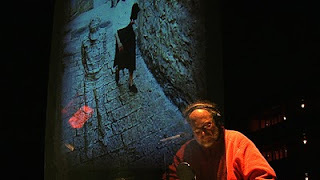 Arnold Veeman made a very nice haunting fairytale composition for the performance. My part was to film this public happening and try and catch the vibe of this event. Editing the last few bits right now before it's going into the open.